Tableau Competitors: Which Alternatives to Tableau are Better in 2019? Lots of companies have heard about Tableau Software, a top-rated business intelligence product. Their products include Tableau Public, Tableau Desktop, Tableau Server and Tableau Online – all viable business intelligence tools. But there are lots of other attractive Tableau alternatives that make good use of business data assets through cloud-based and self-service business intelligence. Which Competitors have the Best Software like Tableau? As a major provider of enterprise technology, SAP offers its own business intelligence platform, BusinessObjects, which is one of the strongest Tableau software competitors. BusinessObjects is designed to provide real-time business intelligence from any source while streamlining decision-making processes by putting data in accessible formats. SAP stresses that its platform is able to “personalize” and customize the acquisition of data in ways that better reach customers. With ad-hoc reporting, multidimensional analysis and in-memory solutions with SAP’s HANA architecture, there’s a lot of functionality built into BusinessObjects that’s attractive to customers. SAP BusinessObjects provides interactive visualization features. These enable end-users to create their own BI content using an easy-to-use interface. The solution allows users to visualize, mash up, manipulate and explore a wide range of data, although it requires prerequisite knowledge of the tool. The solution offers different types of customization as per users’ requirements. This BI software, like Tableau, offers some great solutions to everyday problems. QlikSense, Qlikview’s guided analytics tool, helps guide decision-making through the use of compiled data. QlikView provides an interactive dashboard experience to its users. The solution enables business users to freely explore and find connections, patterns and outliers in data without having to model those relationships in advance. The solution is very user-friendly but prerequisite knowledge is required to get the most out of it. It also offers multiple customizable features as well as dashboards. Users can utilize the new Nprinting reporting and analytics feature for accessible, polished visualization reports. Qlikview customers also have the option to track and formulate data via customized dashboards for all the tools from the Office suite. 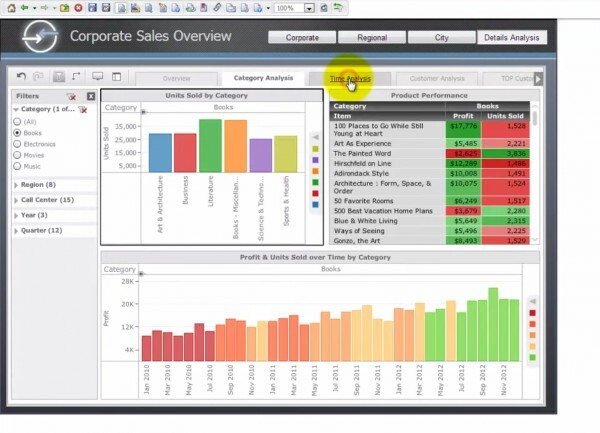 IBM’s Cognos Analytics is another popular business intelligence software similar to Tableau for enterprise customers. 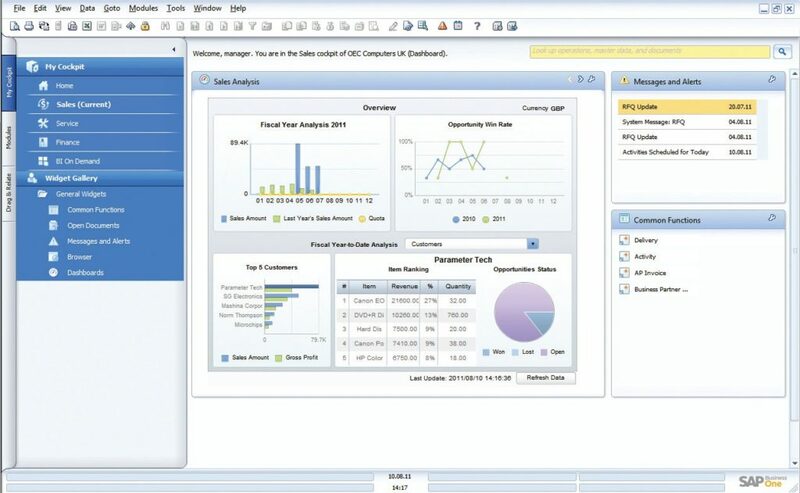 As a self-service BI tool, Cognos features web-based delivery and any-device functionality. Users can create online and offline reports that can provide information even when systems are down. IBM Cognos BI provides interactive data visualizations that enable users to more easily identify performance issues and apply corrective actions. IBM Cognos Mobile also supports interactive visualizations such as animations and graphics. The solution is very user-friendly and required maintenance can be kept at a minimum. Cognos BI offers a customized version of the suit as per the user’s requirements. Cognos can help you with departmental data silos and make information transparent across an entire enterprise system. Handling elements like supply chain and inventory, it allows companies to handle materials more intelligently and make use of diverse data sources. 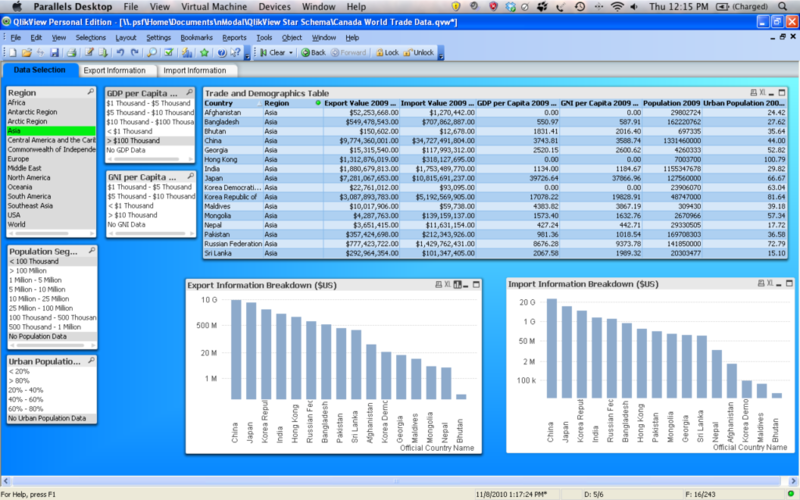 Oracle, another software like Tableau, also offers competitive intelligence platforms. Oracle tools feature visual analysis tools with rapid in-memory processing drawn from diverse data sources. Users can also take advantage of Oracle’s voice-recognition feature and seamless analytics for both web and on-premise systems. 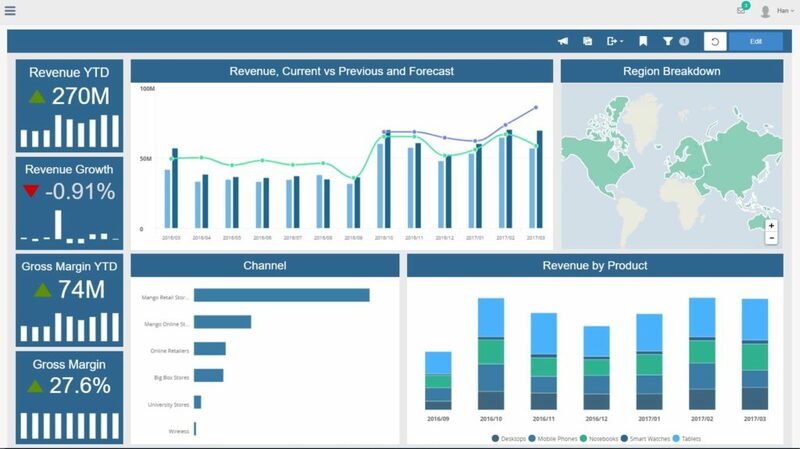 Oracle BI supports enterprise visualization functionality. It allows users to select a “recommended visualization” that provides custom guidance on the basis of data sets and the intent of analysis. The solution helps generate data-driven insights and data visualizations tailored specifically to analyst’s requirements.  The solution offers a customizable platform and features which can vary per user requirements. Oracle has also worked to allow for an easy installation and management. 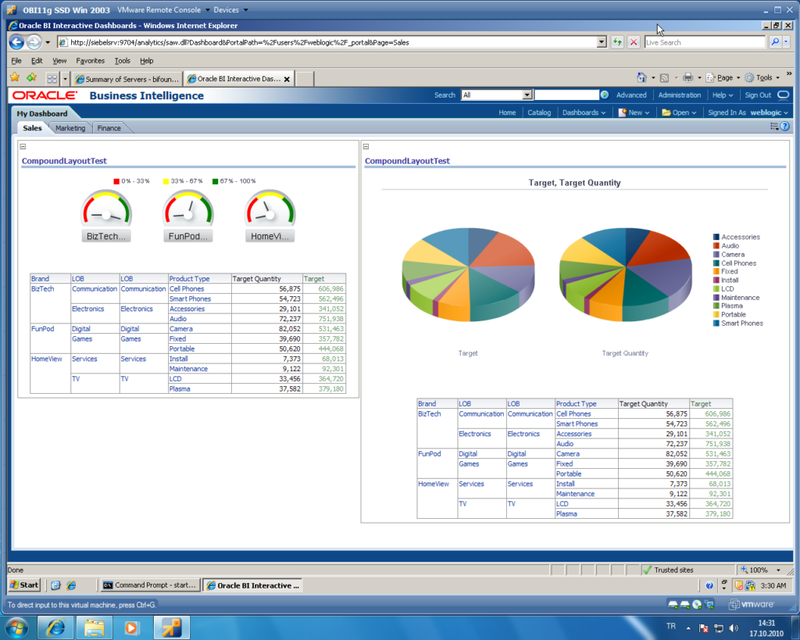 Sisense BI is a robust platform that provides interactive BI reports with customizable dashboards. The solution offers a customizable interface to meet user’s unique requirements. It automatically recommends charts or graphs on selecting a relevant set of data. This BI software, like Tableau, provides an option to present data in various charts and animations. Sisense also supports automated geocoding based on address data. Sisense ensures compliance with regulations using a data-driven approach. The solution enables tracking logins, dashboard and widget usage. Users can also import data along with information on the user and their associated timestamp. In addition, the solution helps monitor threats and support consulting requirements of the client by providing complex data analysis. This BI tool facilitates visualization of multiple sets of data sources on a single dashboard. The solution allows users to drill down to the most granular raw data across all data sources. It is integrated with statistical language enabling data to be passed between databases and the system to execute predictive statistical functions. With Dundas BI software, users can import and export data to any device, as well as connect relational databases, MS Excel, web services, and other formats. New version features include new data transformation tools, data generators, quick filters, and scaling modes. Dundas BI is a strong solution that supports drilling down/up, filtering, sorting, changing levels, re-visualizing, zooming-in/out, expanding and collapsing of data sets. The solution also offers several customizable features and dashboards making it user-friendly. Dundas positions its software as a quick self-service BI solution and gives users a choice of single-click in-memory or on-the-fly data analysis. This tools innovation is a large part of its appeal and showcasing aggregate data sets, including creative multi-dimensional pie charts. Drag-and-drop functionality helps save time when putting slideshows together, documents and so on. Microsoft also offers one of the best alternatives to Tableau. 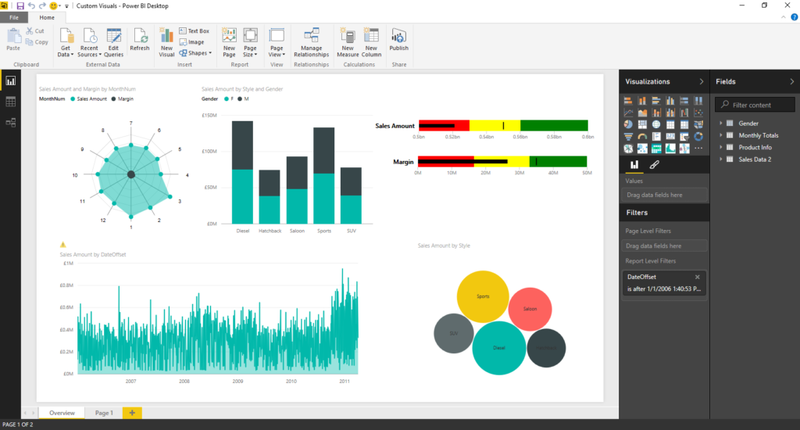 Microsoft Power BI provides interactive dashboard capabilities, customizable reports and powerful analysis. Microsoft Power BI provides a simple and intuitive platform that is customizable. Additionally, it helps users interact with data and develop interactive visualizations in real time. Using desktop and mobile tools, Microsoft Power BI allows customers to import data from programs like Excel spreadsheets, SQL servers, on-premise documents and Hadoop clusters. It allows users to transform and clean data, then work with lifecycle processes to visualize data in an ordered way. Microstrategy’s platform connects desktops, mobile and other systems with a powerful suite of tools and services. Microstrategy Analytics links Big Data, cloud data and the contents of relational databases to deliver information to users. Then it visualizes that data via a range of charts and mapping views. This solution supports advanced predictive analytics through its native algorithms and scoring functions. The solution also supports integration with third-party data mining and open-source statistical tools via MicroStrategy SDK. Microstrategy allows users to analyze social media data across platforms such as Facebook, Twitter, Google Drive, Dropbox, etc. You can also build custom web reporting applications by using MicroStrategy SDK. This BI application provides real-time data exploration and forecasting on multiple as well as single business questions. Microstrategy Enterprise Analytics & Mobility provides a user-friendly interactive interface enabling users to discover patterns, trends and relationships hidden in raw data with a suite of intuitive and interactive data discovery tools. With a powerful metadata repository, Microstrategy catalogs and stores business information for users to retrieve and apply at a later time. Domo’s Centerview offers powerful Tableau competition enabling visual representation of data to identify patterns, trends and correlations. The solution has a card builder offering simple drag-and-drop functionality, plus, it is very user-friendly and easy to use. Domo Centerview provides platform customization to offer the right data insights for unique users. The solution also has a visual ETL application built into the product, which can be integrated with GPS tracking data that can be represented in the form of maps. This BI tool provides an extensive range of charts to create meaningful data visualization. Domo enables collaboration via multi-entity comparison on multiple metrics. The solution allows users to explore multiple predictive models along with what-if scenario analysis to offer adequate prescriptive actions. Domo’s Centerview integrates with Facebook, Twitter, Youtube, etc. to provide easy access to social media data and helps visualize all the data in one intuitive dashboard. The solution provides real-time updates to users, enabling powerful reporting on one platform. 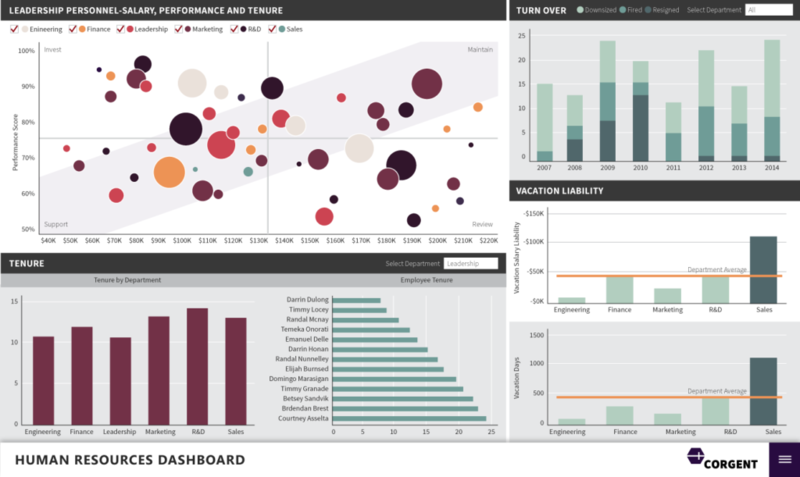 Another BI resource that’s getting a lot of attention comes from Birst, a lesser-known name among Tableau competition but one that promises to disrupt the business intelligence space. With a high score from Gartner for Governed Data Discovery use cases, Birst promotes a range of BI designs to enhance agility and get clear data results while providing a safe space for collaboration. 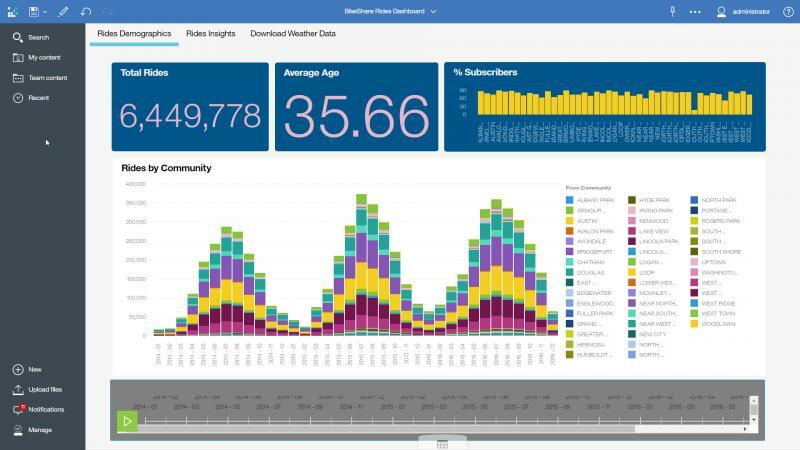 This Tableau alternative provides graphic benchmark tools enabling users to compare metrics and data to other projects, companies or industries. Birst BI allows users to utilize different sources to analyze current and past information in order to predict future events. The solution integrates with Birst Snap, an integration tool by SnapLogic. Together they provide insights by merging social and web data across Twitter, Facebook and Google Analytics with operational systems for visualization of social media sentiment. The solution helps create over 30 different chart types including heat maps and geo-maps. The solution is enabled with single query analysis as well as in-memory analysis and statistical analysis. The solution also provides real-time data analysis with trend indicators and is embedded with Machine Learning. Birst BI provides an extensive library of interactive visualizations which allows users to explore data in various formats. Birst has a simple user interface and can be customized per customers’ requirements. With a User Data Tier built on a multi-tenant cloud architecture which constitutes a platform that supports collaboration, Birst Automated Data Refinement (ADR) refines data to create a Unified Business Model. Birst Infinite Connectivity Framework helps companies hook up diverse sources of incoming data, from CRMs to databases to Hadoop to spreadsheets. All of these Tableau competitors have unique strengths and weaknesses that you should consider while on your software selection journey. Look at offers back-to-back to see what has the most appealing sets of features and the best design for your office. Check out our BI comparison matrix to benefit from an apples-to-apples comparison on a winning selection platform. Click the image above to get our BI software comparison matrix. If you think you’re ready to shortlist the best Tableau alternatives for your business, check out our pricing guide to get exclusive information and advice. Do you use any of these reporting tools like Tableau? Did you find our list to be comprehensive? Let us know in the comments! It would be nice to see some information about Looker to be able to compare vendors. Thanks for your comment, Amber. We are actually about to publish a Looker vs. Tableau comparison. It should be done before end of June. This is just a disguised advertisement for the products listed. The descriptions of each product could swapped around and they would all remain true. There is no real evaluation here. Hi Greg, we’re an independent organization, so we have no reason to promote one product over another unless they’ve earned it. The purpose of this article isn’t to evaluate which system is the absolute best — this is different for every business based on their unique requirements. Instead, we’re providing a brief overview of the Tableau alternatives BI buyers can look at during their search. If you’d like to see a more in-depth evaluation, feel free to check out our BI Pricing Guide.